Image: John A. Carlos II. Candidates for Congress rarely include information pages about their districts. Why? Perhaps because most congressional districts aren’t natural communities. The electoral carving of cities, counties, and regions is puzzling. In fact, look at the South Carolina congressional district maps at the bottom of this page. Do they make sense to you? But the Second Congressional District of South Carolina is a community—a critical community of nearly 700,000 people. 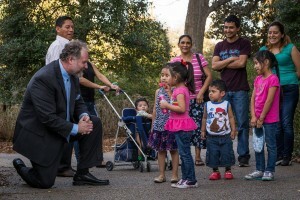 Every two years, our Congressional District sends one of our own to represent us in Congress. The job of our Representative is to ensure that economic opportunities are plentiful, that our roadways are superior, that our water is clean, that our communities are safe—in short, that the American Dream is alive and well for everyone. This year, let’s take a moment to learn about one another before we vote for our Representative. Who are the residents of SC Congressional District 2? What do we have in common, and what are our differences? Can we find a better way to achieve security and success? First, we’re all Americans. The United States has the world’s largest economy and third largest population, as well as an unparalleled tradition of innovation. We’re also South Carolinians. Every inch of our state is rich with history and heritage. 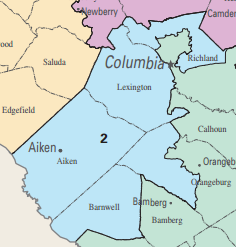 The SC Congressional District 2 region includes Aiken, Barnwell, Lexington, Orangeburg, and Richland Counties. Our District neighbors live in big cities and suburbs, college towns and county seats, whistle-stops and farms. We hail from every country and continent, from England to Germany, from Africa to Asia. We’re Christian, Muslim, Jewish, Hindu, Mormon, Buddhist, Unitarian—all the faiths and philosophies protected by the Constitution. We’re nurses, truck drivers, retail professionals, teachers, homebuilders, farmers, nuclear technicians, insurance agents, receptionists, accountants, students, artists, service industry workers, and all other professions. We are from every walk and way of life. We are in every sense a Palmetto Melting Pot. SC Congressional District 2 is struggling—just like the nation. We face crises of healthcare, poverty, education, failing infrastructure, to name but a few. In fact, take a moment to name a few. Do you know anyone in our District who needs healthcare or who can’t make ends meet? Someone who has failed to succeed in school? Can you think of a bridge, dam, road, or public facility in dire need of repair? Representative Wilson wastes our valuable time blaming the current Administration and the Senate for every problem under the sun. But the sad—and absolute—fact is that he has had 15 years to solve our problems. And he has utterly failed. Almost 20% of us live in poverty. Nearly 1 in 7 have no healthcare. Our household income is 20% lower than the national average. We could fill Williams-Brice Stadium with high school dropouts, and our college degree rate is equally unimpressive. And far too many of us have lost loved ones due to concocted wars and a failing criminal justice system..
About the only thing Representative Wilson has delivered during his 8 terms in office is shame and a nickname. Well, I have a new nickname for him: “Status Quo” Joe. Our District deserves a real Representative in Congress. We the voters of SC Congressional District 2 have a responsibility to address and help solve local and national issues. And that means showing “Status Quo” Joe the door. Because not only does he not support the right bills, he plain and simply doesn’t fit the bill. If you’re a SC Congressional District 2 voter, no matter your occupation, religion, background, gender, or other identifying markers, please ask yourself: How hard has “Status Quo” Joe worked for you? Has “Status Quo” Joe worked tirelessly to ensure increased economic opportunities and improve your quality of life? Has he stood boldly against racism and injustice? He has delivered peace and prosperity? If you answered yes, then by all means, vote for “Status Quo” Joe. But be warned. If we continue to follow the Wilson Dynasty in lockstep fashion, our community will surely struggle and fracture further. Hate and negligence will continue to win the day. And the path to success for all will remain untrodden. But I am convinced there’s a better way. Let’s take the higher road as one united community. Let’s shake the dust of our feet at “Status Quo” Joe. Let’s build a foundation for prosperity for generations to come.. 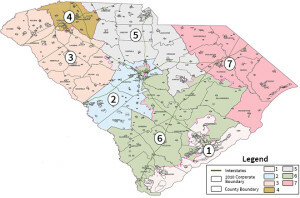 I invite you to spend a few minutes learning about your SC Congressional District 2 neighbors at the following links. Get to know your neighbors in Aiken County, Barnwell County, Lexington County, Orangeburg County, and Richland County.. If you’re not sure whether you’re a SC Congressional District 2 resident, CLICK HERE to find out! • A number of significant historical figures have represented SC Congressional District 2, including Wade Hampton; William Aiken, Jr.; Richard H. Cain; and James F. Byrnes. • Our District has been represented by Republicans and Democrats alike—even a few Democratic-Republicans going back to the days of Jefferson and Madison. • In 2010, SC Congressional District 2 was redrawn and no longer runs to the coast. Here is an image of the former District. Allendale, Bamberg, Beaufort, Calhoun, Hampton, and Jasper Counties are now parts of the SC Congressional District 1 and 6 communities. • On average, only one-third of SC Congressional District 2 voters show up at the polls. Please vote! Democracy depends on you! Image Source: SC Public Service Commission. 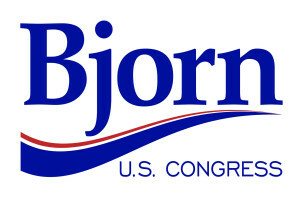 Click our campaign logo to return to the home page.